Enjoy an unforgettable trip through the Ica region and spend some very special days full of adventure and nature, in hotel with swimming pool. 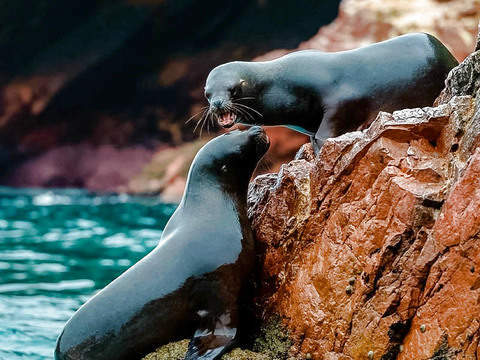 Visit the Ballestas Islands and its amazing nature. 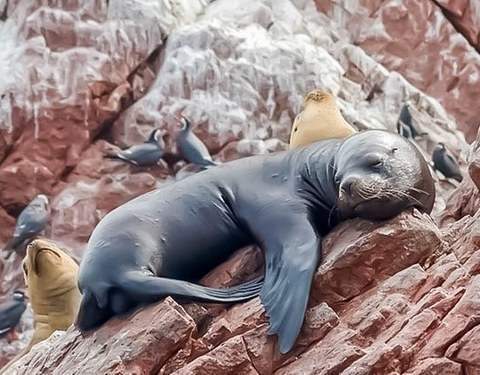 Get to know the beauty of the Paracas National Reserve. City Tour in Ica. knows the goodness of the city of the eternal sun. 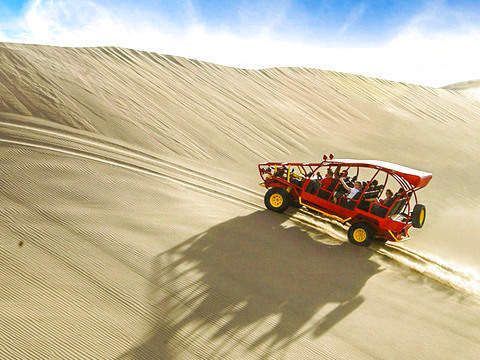 Experience an adventure climbing the tubular and practicing the deposrte of sandboarding in the dunes of the Huacachina. If you come from Lima, it is recommended to leave early in the companies of Transportes Cruz del Sur, Oltursa or Flores. The trip to Ica is about 5 hours. After coordination, we will wait for you at the bus terminal in Ica and transfer you to the respective hotel. We work with 3 * hotels with a pool such as the hotel Las Flores or Belle Sand; In case there is no availability in them, the passenger will stay in another hotel of similar category. Hotel check-in: from 2:00 p.m.
Free afternoon to enjoy the hotel facilities and / or walk around the city. 9:00 am - Our resident guide will pick you up from your hotel. >> Plaza de Armas de Ica and the remains of the Sanctuary of the Lord of Luren. >> Chocolates store "Helena", where you can buy delicious sweets to give away after your trip. >> Bodega Tacama ( service from Tuesday to Sunday ). If the day of the visit is Monday, we will visit the "Vista Alegre" winery. Eye: Income to wineries not included. We follow our wine route visiting the "El Catador" winery, where we will taste its delicious wines and piscos. Free time to have lunch at the tourist restaurants in the area (on behalf of the traveler). Finally we will delight with the beautiful view that gives us the Huacachina Lagoon, which is one of the few natural oases that exist in the country. Here we can take pictures, buy souvenirs and ride a boat (additional cost). The more adventurous can practice tubular and sandboard (additional). 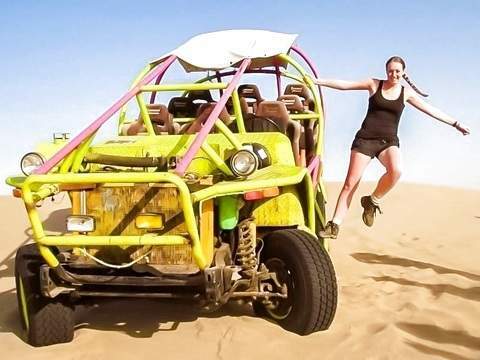 3:30 pm - At the end of the tour, travelers decide if they return to the hotel with mobility or continue walking freely in the Laguna de la Huacachina (in this case the return is for the passenger's account). Note: Leave the hotel with your bags, as you do not return to Ica. 6:30 - 7:00 am - Pick up of passengers from their respective hotels. The transfer will go to the reception of your hotel with their respective names, they must be ready in the lobby. 7:10 am - Transfer to Paracas, located 1 hour from Ica. Arrival to Paracas - Puerto del Chaco, Pisco. They will be able to leave their luggage in our hotels like "El Gamonal", located in the same pier of Paracas. 8:00 am - Tour to the Ballestas Islands: We begin our tour by boarding our boats, also known as "sliders". Each vessel has radio communication, permission from the navy, life jackets for each tourist, onboard tourism guide and support staff; which guarantee that our experience is very safe. Sea inside we can appreciate "The Candelabra", famous geoglifo also called "Tres Cruces" or "Tridente" which measures approx. 180 meters long. From there we go straight to the Ballestas Islands, where we will observe the great variety of birds such as seagulls, pikemen, tendrils, pelicans, chuitas, among others; and with some luck we will appreciate families of Humboldt penguins. To finish we will meet the most beautiful specimens of this Island: The Sea Wolves, who will welcome us in a friendly way and we will be able to observe them in their natural area. 10:00 am - Back to the pier we will have free time to buy souvenirs and walk through the spa. 10:55 am - We meet at the Gamonal Hotel to depart for the Paracas National Reserve where we will get to know the museum, viewpoint of the cathedral and its beautiful beaches. Eye: It is important to be at the exact time, since the mobility departs at 11:00 am. Free time to have lunch in Lagunillas, inside the reserve (on behalf of the traveler). 3:00 pm - Arrival at the Paracas dock (approx. Hour). Your luggage can be left at the hotel reception, until the departure of your bus to Lima, prior coordination. Note: It does not include the transfer to the bus terminal in Paracas. 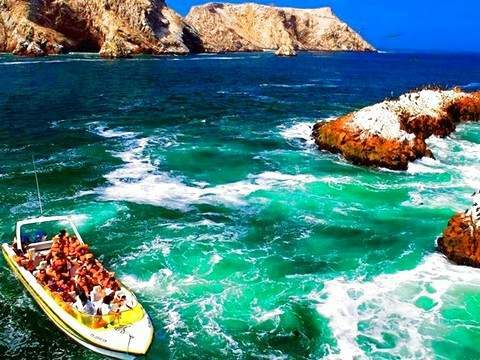 It is recommended to buy the Paracas - Lima tickets in Cruz del Sur, whose terminal is located just 5 minutes from the pier. Pick up from the bus terminal in Ica. 2 breakfasts at the hotel. City Tour Ica + Wine Route + Huacachina. Tour to the Ballestas Islands (water transport). Tour to the Paracas National Reserve. Flights Lima - Ica / Paracas - Lima. Tubular and Sandboard: S / .45.00. Income in Tacama: S / .10.00. Transfer back to Paracas (at the end of day 2). Children under 4 years can travel free, without the right to any service. The parents will assume the expenses that arise during the trip. Children from 4 to 10 years old pay S / .10.00 less than the regular rate. To get there, you can take the buses, Cruz del Sur, Flores or Soyuz. The accommodation in one or another establishment, will depend on the availability of spaces for the date chosen by the traveler. If there is no availability in any of the establishments mentioned, we will choose to accommodate the traveler in one of similar category. Read the identification document (DNI / Passport). Wear hats, sunscreen, insect repellent and sunglasses during tubulars. Departures to Ballestas may be restricted at any time without prior notice by order of the Navy for high tides or other causes that are considered risky for the entry of visitors. Rates valid throughout the year, except Holy Week, long holidays, Independence Day and New Year. BELLE SAND / CURASI / LAS FLORES o similares. The Belle Sand Hotel is located in Ica, an 8-minute drive from the main square and the bus terminal, and a 10-minute drive from the Huacachina oasis. It has free Wi-Fi and rooms with flat-screen TV and private bathroom. Superior rooms also feature a spa bath. It has an outdoor swimming pool all year round, terrace, restaurant and 24-hour reception. Hostal Curasi offers a restaurant, outdoor pool, Wi-Fi, 24-hour reception, a garden and a terrace. All rooms have a private bathroom and cable TV. There is also a shared lounge, a tour desk, a left-luggage office and parking facilities. 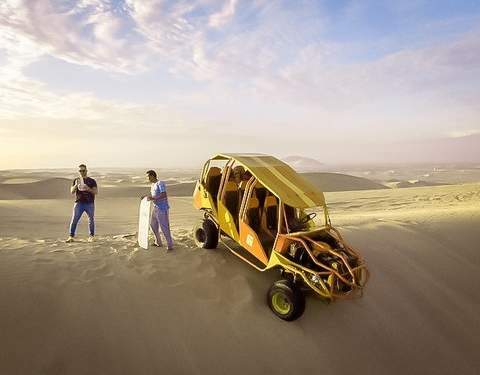 It is located just a few steps from the sand dunes, just 1 minute walk from the Huacachina lagoon and 20 minutes by car from the El Catador winery, where you can try different types of pisco. Hotel Las Flores offers an outdoor pool, restaurant, free Wi-Fi and a business center. Located just 4.5 km from the Huacachina Oasis, it offers rooms with private bathroom and cable TV, private parking, room service, hot water, 24-hour reception, laundry service and tour desk. It is 1 km from the Regional Museum, 2 km from the Plaza de Armas and 1.5 km from the bus station. The accommodation in the mentioned establishments, will depend on the availability for the date of the trip. Otherwise, you will be accommodated in an establishment of similar category.